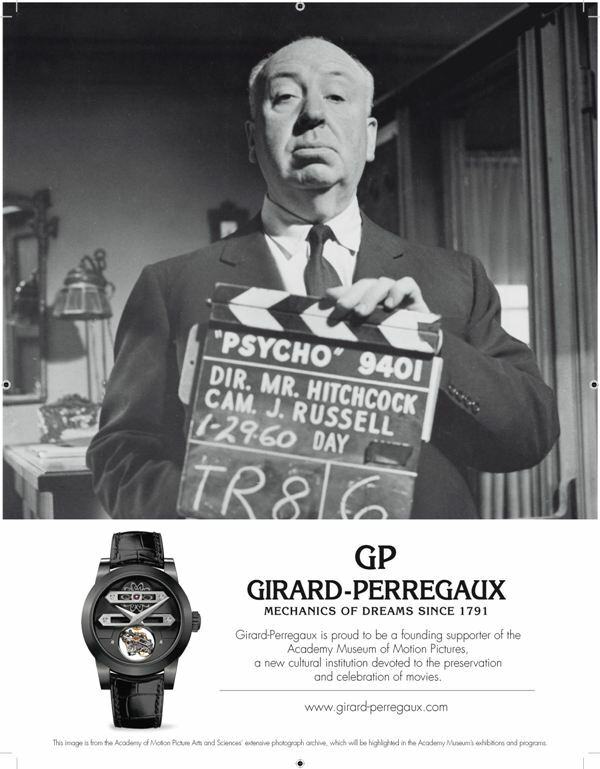 After the official announcement of Girard-Perregaux being the Exclusive Timekeeper and a Founding Supporter of the new Academy Museum of Motion Pictures in late 2012 to be located in the heart of Los Angeles, the iconic luxury Swiss watch brand - Girard-Perregaux is proud to unveil the first ad campaign image with Alfred Hitchcock holding on to a product slate during filming of the PSYCHO. 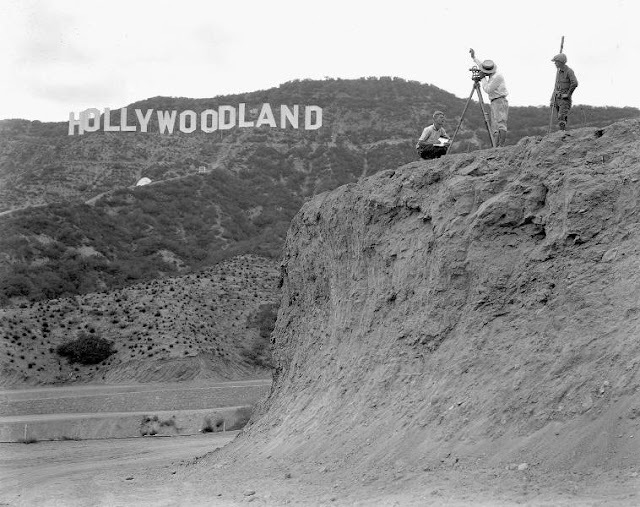 This is one of over 10 million photographs in the Academy’s vast photograph archive. This image not only represents the beginning of a scene but, in this case, also the beginning of a great partnership. The Academy Museum will be the first U.S. not-for-profit museum dedicated exclusively to the history and ongoing development of motion pictures. To celebrate and promote this unique partnership, Girard-Perregaux launches this Spring a new international advertising campaign featuring historic images from the Academy's vast photography collection. This collaboration highlights the mechanics behind the creation of such iconic works. The tagline ‘Mechanics of Dreams’ encapsulates the very essence of this relationship between Girard-Perregaux and the Academy Museum. In different ways, both are masters of an art that makes people dream, that tells a story, and that has the power of making one travel in time. The Museum will be located in the historic Wilshire May Company building in the heart of Los Angeles, and will be designed by award-winning architects Renzo Piano and Zoltan Pali. The Museum’s galleries, theaters, screening rooms, and education centers will draw from the Academy's extensive collections and archives, which, in addition to more than 10 million photographs, include over 146,000 film and video assets, 80,000 screenplays, 46,000 original film posters, 20,000 production and costume design drawings, as well as costumes, props, moviemaking equipment and behind-the-scenes personal accounts from artists and innovators working in the motion picture industry.